Santiago is a welcoming city. It has the oldest hotel in the world, established in 1499 as a Royal hospital with the primary function of caring for pilgrims. 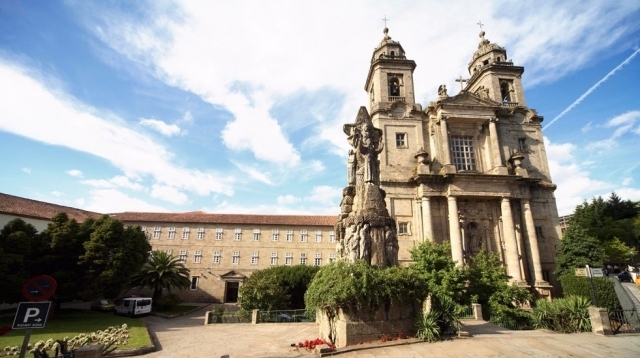 Situated in the heart of Obradoiro Square, the Hostal de los Reyes Católicos combines luxury and quality with a long Jacobean tradition, it is nothing less than a living museum. The Franciscan convent, another landmark in Santiago, also offers accommodation. According to legend it was founded by San Francisco, the Hotel Monumento San Francisco and, it is situated just a hundred meters from the cathedral. Aside from these two jewels, Santiago has a significant hotel industry network distributed throughout the city.